Kanade is a 14-year-old Japanese student and model who we met on the street in Harajuku. 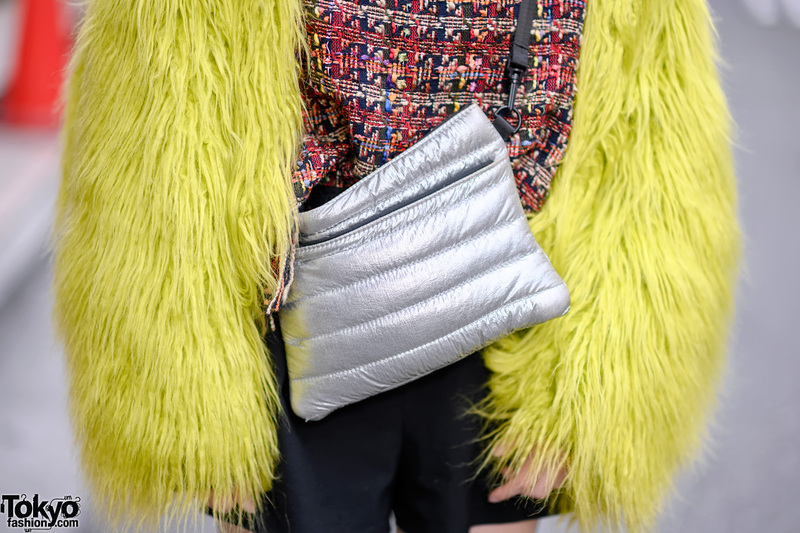 In addition to a bob hairstyle, her look features a yellow shaggy faux fur jacket by the Japanese brand Sly over a Zara top, shorts, Zara booties, and a metallic purse. Kanade’s favorite fashion brand is Zara. Check her Instagram for more of her personal fashion style.